Axis Development Company stands out in the market for its innovations. The company has developed a different payment model, which takes into consideration consumer’s requirements and makes its product most accessible. According to the new terms – 20/80, after choosing an apartment, you pay only 20% of its cost, and the rest 80% - upon starting of interior work in the apartment. In the process of construction, a future resident has not to pay any additional expenses, which is rather advantageous. You have savings enough to cover only 20% of the cost, at the moment of payment of the rest 80%, condition of the apartment allows you to get a mortgage loan secured by this apartment. or Before payment of the rest 80%, you may plan selling of your present dwelling, move into the new apartment with completed interior work and improve your living conditions. If you do not have savings, instead of taking loan for covering an entire cost of the apartment, you may take loan for covering only 20% of the cost, and the rest 80% may be covered by the mortgage loan secured by the new apartment. 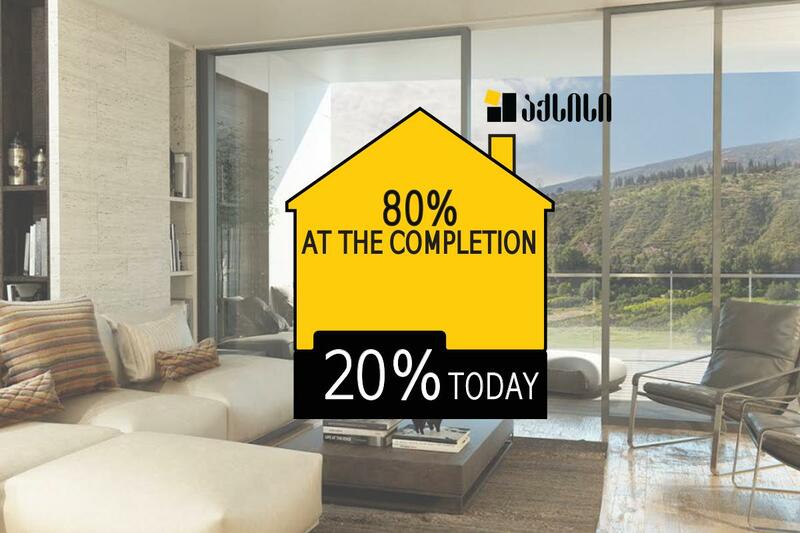 It should be noted that if you cannot pay the rest 80% due to unforeseen circumstances, we give you opportunity to resell your 20% share, which increases in the process of interior work.